Best Tours Package has been created to optimise your savings on as many as three major UNESCO World Heritage Sites combined with a comfortable two-way transportation, airport transfers, and a suggested minimum 3-night stay in a verified top-rated hotel at the lowest price out there. Safe transportation from and to the airport in a comfortable and modern car is already included in the package. Featuring Auschwitz and Krakow Salt Mine Comfort Tours as well as Budget Schindler List Tour, our package offers literally the best Krakow has to offer. 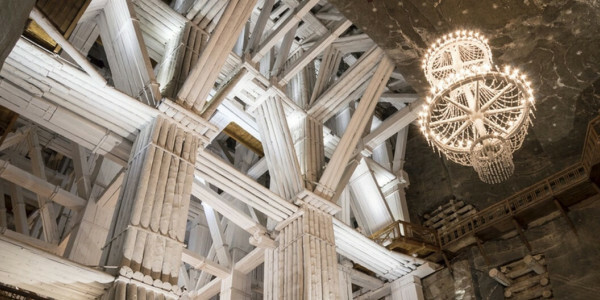 Let our seasoned guides show you the most recognizable symbol of the Holocaust, one of the oldest salt mines in Europe, and the Jewish District in Krakow, where the Spielberg’s Schindler’s List was filmed. You won’t have to worry about the transportation as it’s already included in the price. 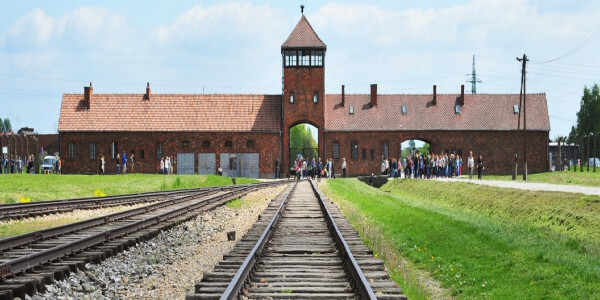 Additionally, Comfort Tour Option ensures an extra 15 minutes of free time after the Auschwitz tour and a pickup from one of the central meeting points close to your hotel. Especially for our clients, we have prepared a choice of personally verified and carefully selected hotels where you can unwind and regain your strength after the tours. Active continuously since the Middle Ages, this historical site miraculously transforms into the underground city made entirely of salt! Visitors enter the Mine descending a 380-step staircase to Level 1 (135 metres below ground level). You walk around the mines and corridors accompanied by the licenced guide. The return to the surface is by lift. The temperature in the Mine, though constant, is rather low +14 ‘C (57 F). That's why even in the summer time we advise to take warm clothes. Walking down the mine can be hard for some people. Remember that you have to pass over 380 steps to reach a depth of 135 meters. It’s worth the sacrifice to see it all, but mind your health and take comfortable shoes. If your accommodation is located within the city centre area with limited access for vehicles such as: Rynek Glowny, Szewska St, Slawkowska St, Jagiellonska St, Grodzka St, Golebia St as well as Kopernika St and Szlak St. your pick up will be from an assigned convenient meeting point. Our pick up service covers the Old Town and Jewish district Kazimierz area. Take dozens of phenomenal photos in the Old Jewish Quarter, where the Spielberg's Schindler's List was filmed! Interested in seeing the real Krakow, where two cultures once coexisted? The Schindler’s List Tour is just for you! 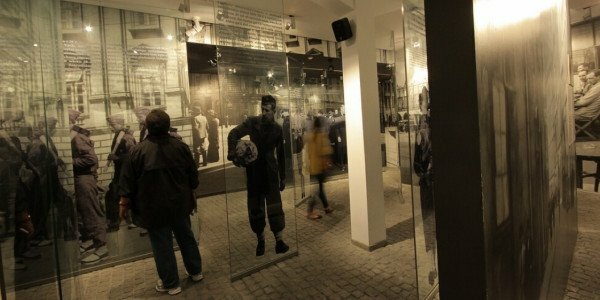 On the Schindler Tour, you will be guided around the former Jewish district of Krakow. You will not only see beautiful synagogues, but you will have a chance to visit one as well. See where the city came to life before the Second World War and explore various religious locations such as ritual bathhouses and a cemetery. Visit the ghetto square, where an art installation will shock you. Take in the former walls that enclosed the ghetto. See numerous sites used when shooting Spielberg’s Schindler's List. Afterwards, the guide will show you to the museum, where the tour ends. FLIGHT DELAY: You shouldn't worry about flight delays. Provide us with correct details and we will keep track of your flight status adjusting the pick up accordingly. Everything was fine, the tours, the transfers, the company provided reliable service. The Columbus Hotel was comfortable too. They picked you up on time, very polite and courteous and the tours with English speaking guides were great. We just wish we could have chosen one more tour to see the city with a guide. Except that, we had a good time. our whole stay was stress free thanks to escape2 poland. we booked hotel and two tours everything was perfect, tours very interesting everything on time. I'm sure we will use that company again. Everything was perfectly well organised, on time, efficient and comprehensive. Many thanks for your superb organisation. The tours were well organised and hotel well located. I would recommend. The hotel + transfers + tours package was a convenient way of organising my trip to Krakow. I enjoyed my stay with interesting tours and passionate guides. I didn't know what to expect but I was positively surprised on this trip! Wieliczka mine was enchanting! George our guide was a gem. Transfer and hotel staff was punctual and helpfull. Tourguide in Auschwitz was very informative. Worth every penny! The tours had a good length of time and our guides were fantastic. We left feeling like we had learned so much from our tour and were all extremely glad we had visited. The transport was bang on time and comfortable. Wonderfull hotel with polite and helpfull staff. Very smooth transitions. We had the same driver for both journeys and part of the tour day. The breakfast and trips were excellent. We have tried hard to think of something which could be improved upon but really cannot think of anything.